Marijuana has always had a strange way of bringing people together--inspiring sudden friendships in the back rows of concerts, crossing boundaries of age and class, and even forging an unlikely bond between a New York Times columnist and her "marijuana miyagi." 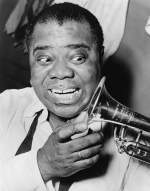 Jazz legend Louis Armstrong sums it up nicely: "That's one reason we appreciated pot...the warmth it always brought forth from the other person." More justice in the justice system. Marijuana prohibition is rooted in racism, so it's no surprise that weed-related arrests and incarcerations disproportionately affect people of color. According to the American Civil Liberties Union, although data reflects that blacks and whites use marijuana at about the same rate, blacks have been nearly four times more likely to get arrested for marijuana use. Legalizing won't solve the core of this problem, but it will help reduce or eliminate incarceration for simply enjoying cannabis. Additionally, if we put fewer people in jail, we'll also save a lot of money. Jeffrey Miron, a Professor of Economics at Harvard, estimates that legalizing marijuana would save taxpayers $7.7 billion per year in government expenditure on enforcement of prohibition. A whole lot of tax revenue. This is one of the most talked-about byproducts of legalization, perhaps because the possibilities are so exciting and we've already got data to support economic projections. Just over two years after legalizing, Colorado is already bringing in $34 million in taxable revenue a month, with legal (and taxable) recreational sales notably surpassing medical sales in August. According to Policy.Mic, "If marijuana is legalized federally, the marijuana industry could be more than three times bigger than the NFL -- and it could all be taxed. Personal freedom. It's not just the freedom to buy and enjoy marijuana itself, but what that freedom represents. Legalization gives American citizens responsibility and ownership over the choices they make when it comes to their own bodies. In the Netherlands, this sense of freedom is central to the Dutch mindset. "The Dutch are not necessarily 'pro-marijuana.' In fact, most have never tried it or even set foot in a coffeeshop," Rick Steves writes for the Seattle Post-Intelligencer. "They just don't think the state has any business preventing the people who want it from getting it in a sensible way." Opportunity for entrepreneurs. And not just liberal ones. Former GOP staffer Michael Correia is the posterchild for this paradigm shift. Once a lobbyist for the American Legislative Exchange Council (a conservative advocacy group that has worked with state lawmakers to block the Affordable Care Act, clean energy incentives and gun restrictions), Correia now advocates for the National Cannabis Industry Association. But he's not in it for the weed. "People hear the word 'marijuana' and they think Woodstock, they think tie-dye, they think dreadlocks," Correia told the Los Angeles Times. "It is not. These are legitimate businesses producing revenue, creating jobs. I want to be the face of it. I want to be what Congress sees." Correia's attitude toward advocacy sounds a lot like my attitude toward entrepreneurship in the marijuana industry (though, unlike Correia, my business-minded approach coexists happily with enjoying the occasional cannabis-infused soda). I believe the way forward for marijuana is to walk away from the stereotypes and stigmas that that have accumulated over the years, and to recognize cannabis for what it is: a plant that has a lot of potential. Potential to create a new American industry, to unclog our courts, to fund our police and schools, and to respect individual choice. And it seems that, slowly but surely, the rest of the country is starting to agree.